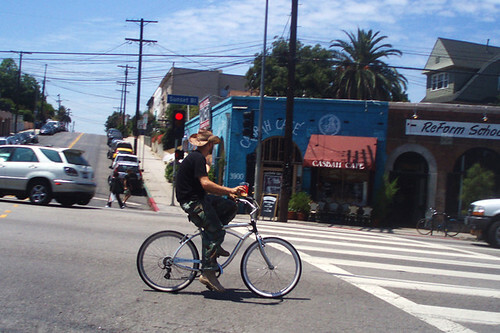 Cosmoblue of the prestigious LA Cycle Chic blog is a top contributor to our Hot Dudes on Bikes photo pool. And boy oh boy, am I ever grateful she found us! LA is teeming with hot dudes! 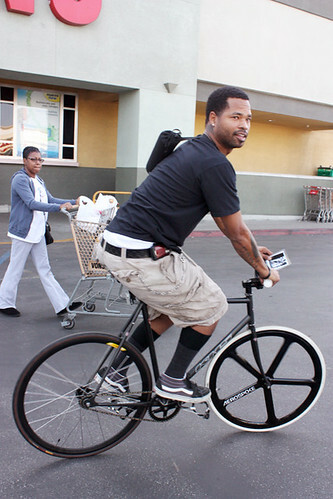 These pics are from a recent Black Kids on Bikes Freedom Ride. They meet every Thursday for a group ride. Looks like a fun time! 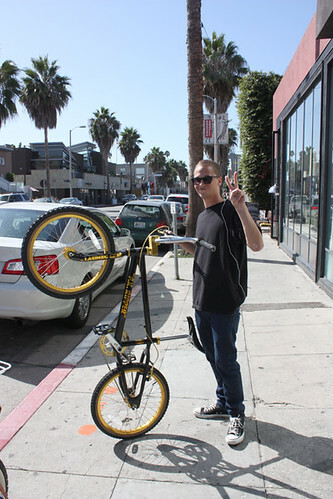 Peace, Love and Bicycles, my friend! 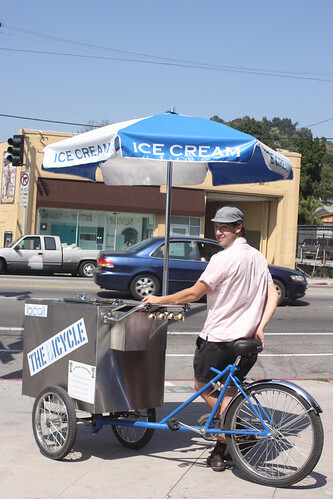 LA is on the street food thing! The Bicycle from Locali. I like this one because it reminds me of my old 'hood - hip Silver Lake! 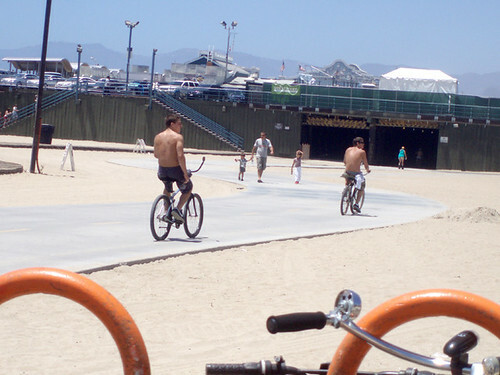 And what's hotter than a couple half naked hot dudes on bikes at the beach?! Thanks for all your contributions, Cosmo! Vélo Vogue loves LA Cycle Chic!